The life span of a flowering dogwood tree is relatively short in comparison to other flowering trees in its class. With a maximum height of 40 feet at 20 years of growth, the flowering dogwood tree grows approximately 2 feet a year. The flowering dogwood tree (Cornus florida) is found in the mid- to eastern United States. The life span depends on several factors, including soil acidity, access to plenty of water and limited cold exposure. The flowering dogwood tree is known for its small flowers, small red berries and beautiful fall-colored foliage prior to losing its leaves in the winter. 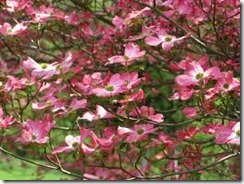 Flowering dogwood trees are not drought-tolerant but are happy enough in either sun or shade. The flowering dogwood’s bark was previously used by American Indians for medicinal purposes; however, dogwood is now purely for ornamental usage. 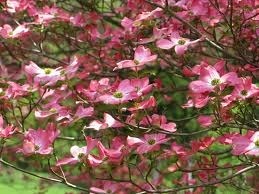 The flowering dogwood tree is the state flower for North Carolina.